We are privileged to be working with Osterley Park to provide a unique route in and around the grounds which also takes in the private gardens behind the house. This amazing 10k has limited places so don’t miss out. And how about doing the double and starting at 9:00am at Osterley parkrun? 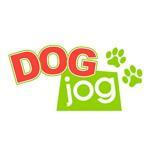 Bring along your four-legged friend and have a bark in the park at Dartford’s Dog Jog! Bring along your four-legged friend and have a bark in the park at Victoria Park’s Dog Jog! 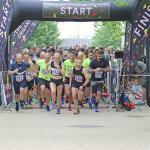 Following yet another fantastic year in 2018 the Tonbridge Half Marathon returns for a 9th time in 2019. The race attracts over 1000 participants – so an early entry is advised. 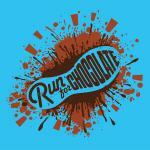 Four trail races along the White Horse Trail starting in Steeple Ashton and going to East Town Farm and return on the first Thursday each month from April. Goes along tracks, through fields along a right of way. Scenery varies each month. Bring along your four-legged friend and have a bark in the park at Derby’s Dog Jog! The London Supernova 5K is returning to Queen Elizabeth Olympic Park on Friday 18th October at 8pm. Expect to be swept away on a distinctively magical experience at this 5K run at dusk whilst gracing the grounds of World Athletics Champions. Along a flat, smooth course, you’ll be inspired by the scenic waterways, green spaces and sporting venues including the London Stadium, the London Aquatics Centre, the Copper Box Arena, Lee Valley VeloPark and Lee Valley Hockey and Tennis Centre. Bring along your four-legged friend and have a bark in the park at Ipswich’s Dog Jog!